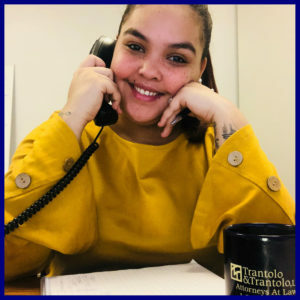 The law firm of Trantolo & Trantolo is excited to welcome a new paralegal to our Hartford office! Isha Lopez has excellent experience working in the legal industry and we are honored to have her join our family. Isha has an awesome dedication to being outstanding in all that she does, which is a character trait we value in our employees. Our clients deserve the highest level of excellence, so they can move forward with their lives after a devastating accident. Our lawyers, paralegals and administrative staff work hard every day to achieve greatness on behalf of these brave individuals. We believe Isha will exceed our very high expectations. For over 80 years, Trantolo & Trantolo has represented those unable to defend themselves. We look forward to the addition of Paralegal Isha Lopez, who shares our core values. As our law firm continues to grow, please know we are always here for you!